Anyone who regularly checks in on Bruno's site or follows his Instagram is probably aware, but I didn't see a thread and thought one was in order. I've heard rumblings about a vetiver release for the fall, which, considering my love of vetiver and appreciation for the styling of Lampblack (okay, and my pedestal-putting of/near-obsession with a number of Bruno's perfumes) obviously excited me. It's going to be called Vetiverissimo and I don't believe a note listing is yet available. The online shop is down while the website and packaging (and possibly entire branding?) undergoes some changes. Most of his more recent Instagram posts, as well as the new packaging features FZOTIC/#fzotic, which I'm assuming is going to be something like the umbrella for his perfumery/Bruno Fazzolari the perfumer, as opposed to Bruno Fazzolari the visual artist - but that's pure speculation, just to be crystal clear. The website is due to relaunch on September 17th, so I'd imagine Vetiverissimo might also be available then. He's also been working very hard on a Chai accord which is going to be featured in a new release, and may or may not be going into Vetiverissimo. To me, a vetiver/chai combo doesn't sound that appealing on paper, but then neither did orris/turmeric/spruce, and yet Feu Secret is still one of the most incredibly captivating things I've ever smelled, so like always, I'll wait and see. If anyone who is above my lowly level of 'consumer peon' has had the pleasure of sniffing this, I'd love to hear impressions. I'll be trying it as soon as humanly possible and posting impressions here. Appreciate the info on this newest release. Vetiver/chai sounds like Bel Ami Vetiver by Hermes. I assume you've smelled that one - no? My pleasure! I believe Bruno has sent out samples of it in some orders over the past few weeks, so hopefully someone who has tried it can share. I have tried BAV, but don't have a very strong recollection of what it smelled like. I do recall thinking it smelled pretty good, but nothing that really grabbed me. I also recall it smelling much more like Bel Ami than like something vetiver-y. Only really got the top notes on paper, though. An update, in case anyone is wondering why 9/17 came and went without a new website or Vetiverissimo. I touched base with Bruno and the launch has been delayed a few times, with the new tentative date of October 24th. As understandably happens with any small business, logistics and other small things here and there resulted in it being pushed. As Mike mentioned above, samples of Vetiverissimo are available via that sample pack at LS. Also, you have a pretty good chance of receiving a sample from Bruno if you place an order for something else directly through his webshop, which is now back up (the same as it was before). I'll pass along any other information as I hear it, and post thoughts when I get my nose on it. Thanks for the update IsoESuperman! 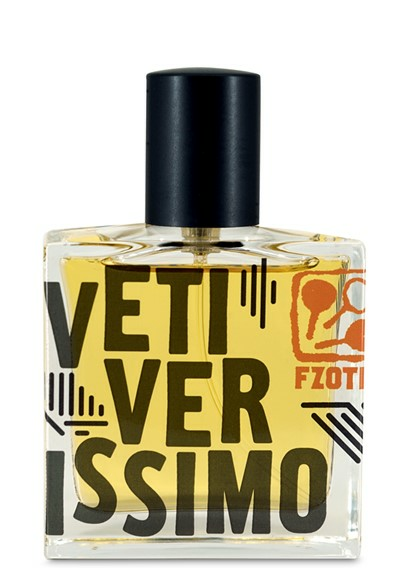 I did notice that in the listing of the scent, in the Luckyscent sampler pack, they're calling it "Vetiverissimo by FZOTIC Bruno Fazzolari"
As luck would have it, a little parcel showed up about 90 minutes after my post yesterday - samples of Vetiverissimo, thanks Bruno! I'm going to wear it some more before giving full impressions but from the few sprays I've thrown on, it's a really friendly and super minimalistic, straightforward vetiver, but like none I've ever tried. If I had to guess, I'd say probably Haitian and maybe a mix of Bourbon and Haitian (and maybe some vetiveryl acetate), but I get no crunchy/dry/smoky facets of Java vetiver. It really highlights the bright and happy aspects and carries none of the austerity of Etro or MPeG Route du Vetiver (both of which I love, FWIW). Instead it is easygoing and bright, it feels like one of those fragrances where most of the materials are 'silent' and creating space and structure for the main player to shine and do interesting things. I really like it, it smells light mint green and pale/pastel yellow to me, with little flecks of brick red. Performance is admirable. Summed up in one sentence - this is what I hoped Vetiver Extraordinaire was going to be. I like this more than the Malle, many times over. Yep, FZOTIC seems to be the new umbrella for his fragrances, as opposed to visual art. He's been mysteriously dropping it as a hash tag on Instagram and FB for the past month or so. On the spray samples he sent, it reads: Vetiverissimo, FZOTIC by Bruno Fazzolari. I think you might like this one, Mike. Oh good I am happy to hear that you got a sample, I know you really have a lot of love for this line and it's satisfying to see a brand recognize that with a small detail like a preliminary sample. Minimal, straightforward vetivers are normally not my thing - I can think of only one that has ever been full bottle worthy for me and that was way back in 2002 when Comme Des Garcons Series 4 Cologne : Vettiveru came out. Since then, I can't say I've ever fallen for a straightforward vetiver scent. But sure, I'd love to smell it and I look forward to that. It sounds delightful, IsoE. I've been having a little vetiver obsession this year... I wonder if this will be my first FB of Fazzolari. Would you say that this blurb off the LS site is accurate? it smells less like a Western perfume and more like Mitti Attar, a traditional Indian distillation of clay into sandalwood oil that captures the scent of rain on red soil. I've been wearing this for a few days now and am quite enjoying it. I'm not a fan of vetiver scents, but I find that this one actually has something new to say in what is a fairly hackneyed genre. If vetiver exists on a sliding scale, with grassy and inky on one end and nutty and creamy on the other, it's definitely closer to the nutty / creamy side, partly because the vetiver is combined with a nice sandalwood accord that seems to build on the sandalwood in Unsettled. But what I find most interesting about it is the opening. For the first thirty minutes or so, you get the impression that it's definitely part of the vetiver genre, yet several micro accords seem to pinball back and forth to complicate things. There's slight soapy-mineral-aquatic note — almost marine-like. There's a slight skin funk-musk that feels like it's linked to the marine accord (almost like a Room 237 reference). There's a green-ish spice that I can't quite identify, and something that smells like saffron. These facets are all very subtle, and they all seem to flicker in and out while the overall impression is of a dry, woody, nutty vetiver. And I fully agree that it smells like Mitti Attar. I have a bottle of the stuff, and it's lovely but it doesn't perform that well. This is like a good blast of Mitti that holds its shape then gradually works its way down to a durable sandalwood base. Really quite impressed by this one. Oh that sounds great deadidol. I don't think I have ever smelled Miti attar. Thanks everyone for sharing their impressions, can't wait to try this, have so far either loved or at the very least been very impressed with all of his scents that I have tried! I do love this house indeed, dearly. Not all of the individual perfumes necessarily, but I love approach and aesthetics. Bruno Fazzolari and, in my experience, most other small US houses (Hendley, Slumberhouse, PPCo., MadHat, etc.) all fall into the above-and-beyond category when it comes to small details with customer service and personal touches. I am with you on the new packaging and label design, I liked the last iteration the best. It was definitely an improvement over the original bottles, regarding both function and fashion, plus I liked the minimalist design. Mostly I could care less as long as it smells great, because like you alluded to, it's about what's inside that counts, but I don't mind the proverbial icing on the cake when it comes in something visually pleasing too. I haven't smelled Vettiveru in a few years, and only smelled it once in passing at that (Barneys, I think) so I can't really compare. From memory and glancing at reviews for the CdG, I'm pretty sure Vetiverissimo is quite a different experience. There are surely worse obsessions to have and I'm happy to have helped you feed it. I'm not really qualified to speak to the LS language because although I'm positive I have a little sample of Mitti somewhere (from Mellifluence/Abdullah/Most Beautiful Scents/Alexythimia Attar/whatever he officially calls his brand) I cannot for the life of me find it, nor can I remember what it smelled like. I'm sure it's one of those things that can vary depending on where you buy it/where it was made, but the opening definitely contains some of that petrichor vibe, like a bright petrichor almost. In terms of being more like Mitti than a Western perfume, I'm not sure that rings true for me. My opinions are clearly shaded by the fact that over the past 18 months or so I've done a deep dive into oud, sandal, and Eastern mukhalllats & attars, but I think Vetiverissimo is much more obviously a perfume than Ruh Khus or something. If they had said "...less like a traditional Western perfume...", then I'd be more inclined to agree. Thanks deadidol, great description. We seem to perceive it rather similarly although I do find it a bit grassy while still being nutty/creamy. Definitely not inky, though, not in my book at least. The opening really is something else, and whatever that 'else' is, I'm still having a hard time putting words it to. It's very much refreshing and fresh-musky and somehow petrichor/ozonic/watery at the same time, but almost smells like...hell, I really don't know. It just smells like a single but multi-faceted material. Fresh, woody, spiced, and earthy. It's progression seems more like an unfolding or evolution, rather than a top of this, mid of these, base of that. The top does smell different than the heart and base but they doesn't smell like different things, if that make sense. Just when I thought I'd seen all that vetiver solo acts had to offer, Bruno whips this up. Glad to! I hope you'll share your thoughts too once you get your nose on it. Do you have a favorite from the house? Yes I do, the original Au Dela - spectacular! Thank you all for the reviews, it sounds beautiful. I have been amazed by the fragrances I tried from this house (Feu Secret, Au Delà Narcisse, Ummagumma) and I'm a fan of vetiver.. I look forward testing this Vetiverissimo! Great intel. Massive thanks to Iso and deadidol. It sounds borderline blind buy worthy for me, but I'll probably chicken out and start with a split. I for one like the new bottle! Also, add "Mitti Attar" to the growing list of things I'd never heard of and now must smell ASAP. Chiming in on this one mainly to say hi and report that Fazzolari is fast becoming my favorite house. I'm an underdog fan, and although that may be an oversimplification in this case, it is to say that I like that a small American house can produce what I think are the richest and most interesting scents east of Oman. I know it wasn't well received, but I'm a big fan of Unsettled, and mad about Ummagumma. Montserrat smells great on my wife, and I like Lampblack and Five as well (though probably not enough for a bottle). There is something enchanting about the changes these scents make throughout the day without "giving up" like I feel many do. I do not at all care for incense scents, but I love Ummagumma. At risk of sounding sicophantic, I'll stop, but wanted to give some props and say I'm eager to try this one (and whatever else) comes from Fazzolari. It is really beautiful, I wish I had nabbed it while still available. Aside from smelling good, I'm really tickled that a self-taught perfumer can construct throwback styled perfumes like Au Dela, using modern materials. It makes me excited for the future, a glimmer of hope in an onslaught of throwaway 'niche' houses. I personally prefer the Narcisse version, as a somewhat typical male, simply because it's hard for me to find white floral chypres that I'm comfortable wearing in public. ADN is really the only one I do so regularly with. My pleasure, always happy to spread the word about houses I like. Splits are always the safest bet, nothing wrong with that. I think any vetiver enthusiast should try this, but it is so different from most other vetiver solo acts that I'd not recommend going in blindly. Love your enthusiasm, please don't hold back- and I share it completely and am surprised that not more fuss is being made about this house.You've made me curious to try Montserrat now! Ordered a FB of Ummagumma this evening along with a sample of Vetiverissimo. Very eager to try the latter and enjoy the former. Full bottles of Vetiverissimo have made their way to LuckyScent are now for immediate sale, as opposed to pre-order. Still not available direct from Bruno yet but he's still shooting for the 24th for the launch plus website update. I'm interested to see what this FZOTIC thing is all about. Bottles are also available for pre-order at Fumerie, should anyone be inclined to shop there over LS or Fazzolari. Curious to know what you think! Ummagumma is lovely, I'm excited to wear it more now that it finally cooled off here. Will you be ordering a full bottle of Vetiverissimo, IsoESuperman? Got my bottle in hand from Luckyscent, but my sinuses have been clogged with a head cold. Can't wait 'til the blockage clears, as I've been eager to try this, vetiver fiend that I am. Wearing this today. Still trying to feel it out. Definitely feel like there's some Fazzolari base in it. A semi-sweet green. I can't tell yet whether I like it, but it is definitely quality. A sample is enroute to me. Oh no!Which ones give you a headache, Sycomore?Mona's Vetyver?Malle's V. Extraordinaire? Guerlain Vetiver, the EdT. And Carven's Le Vetiver.